Seventy (70) 'Royal Scot' class 4-6-0 three-cylinder express passenger locomotives were built for the London Midland & Scottish Railway. They were numbered from 6100 to 6169, later being re-numbered to 46100 to 46169 after nationalisation. The first 50 (No.6100-49) were by built by the North British Locomotive Co Ltd and the remainder at LMSR's Derby Locomotive Works. They were designed by Sir Henry Fowler and deliveries stated in 1927. 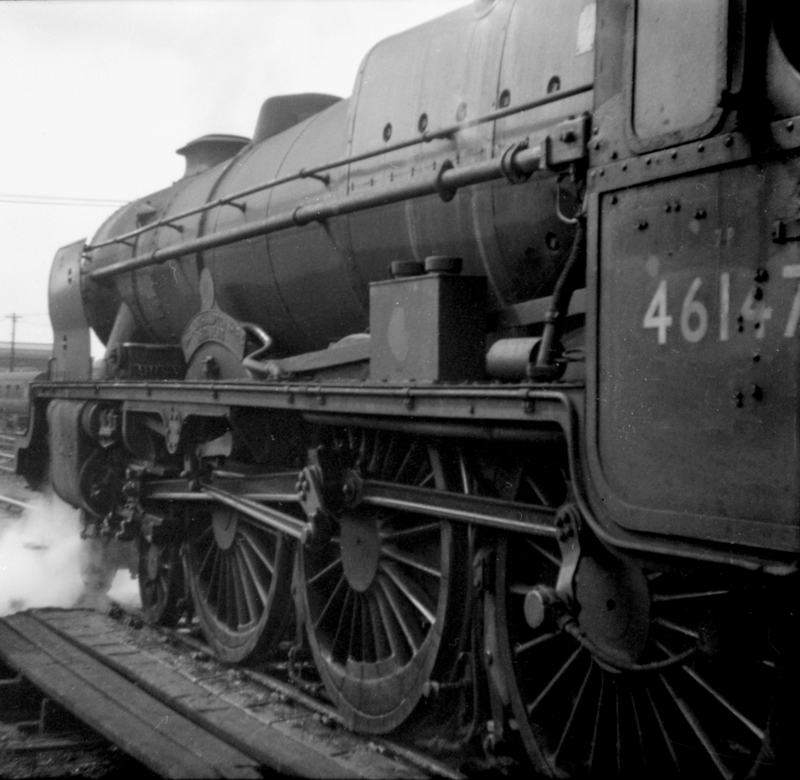 In 1935 the experimental No.6399 'Fury' was rebuilt to a design of Sir William Stanier to become 'Royal Scot' No.6170 (46170), named British Legion. 'Royal Scots' were frequent visitors to the county, often incharge of express passenger trains on the former- Birmingham & Gloucester Railway line. On 17th September 1962 ex-LMSR 'Royal Scot' 4-6-0 steam locomotive No.46103 'Royal Scots Fusilier' of Saltley Shed at Worcester. Photograph by Pete Wilcox. Despite its apparently clean condition No.46103 was withdrawn at the end of the year. 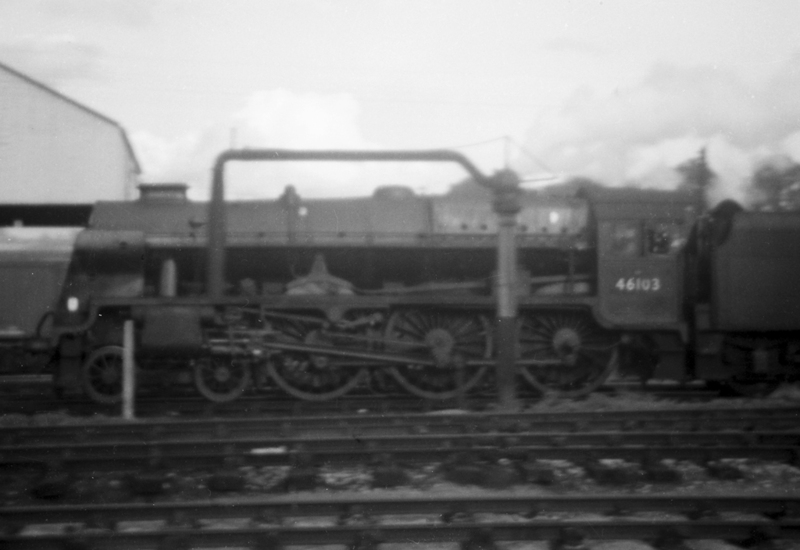 'Royal Scot' 4-6-0 steam Locomotive No.46147 'The Northamptonshire Regiment' at Worcester. The photograph was taken by Pete Wilcox c1961/62. Mick Rock notes that he saw this locomotive at Worcester on 31st October 1961. 'The Northamptonshire Regiment' was withdrawn at the end of 1962.